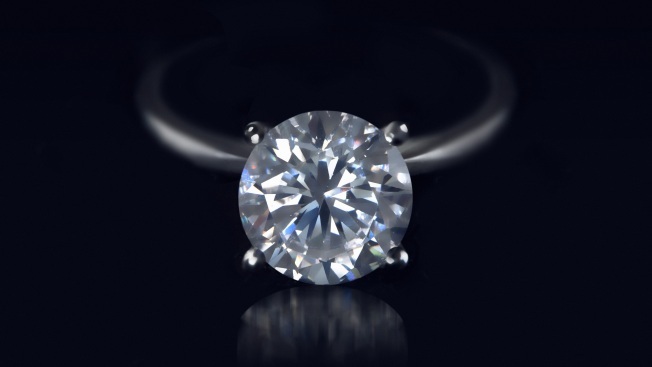 FILE: Close up of a diamond ring. A jewelry thief whose crimes date back more than two decades won't serve jail time for charges he stole a diamond ring from a Westerly shop. The Westerly Sun reports that 59-year-old Robert Petrino Sr., of Boston, turned himself in to Westerly police Wednesday on one count of larceny over $1,500. Court records show Petrino pleaded no contest to the charge on Thursday and received a suspended two-year prison sentence. Police say Petrino walked out of the store with the ring on Sept. 16. Petrino has been convicted of a jewelry theft in Connecticut in 1991. He was also convicted of stealing two large diamonds worth nearly $80,000 in Kansas. Records indicate he has been connected to thefts in Rhode Island, Massachusetts and New Jersey.